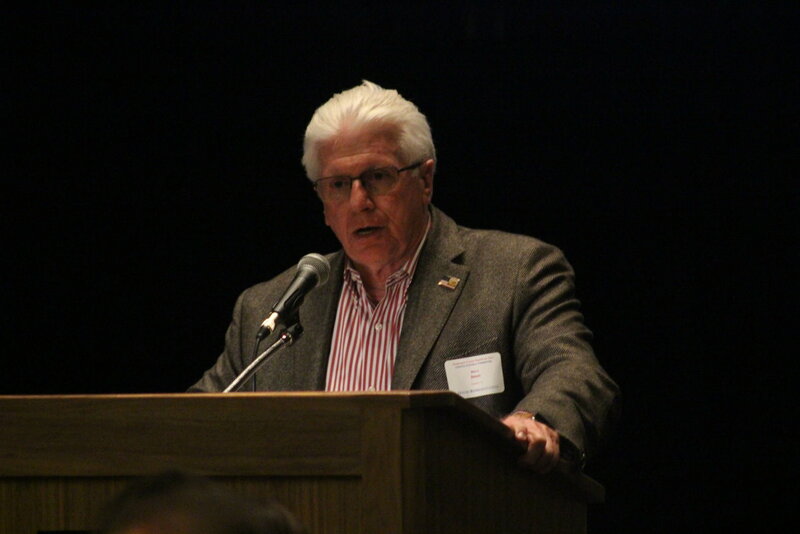 ST. GEORGE – Rep. Don Ipson was unanimously chosen by the Washington County Republican Party central committee Thursday to fill the vacancy in the state Senate left by Sen. Steve Urquhart’s recent resignation. Walt Brooks was also chosen Thursday to fill the vacancy left by Ipson. Ipson fills the position through acclimation since he was unopposed, and his name now goes to Gov. Gary Herbert for approval and appointment as Senate District 29’s interim representative. Ipson has served in the state House for the last eight years as the representative for District 75. Following the central committee meeting, he said his time with the House will add a level of seniority to his position in the Senate. Being chosen to fill Urquhart’s remaining time also gives him seniority in the Senate over those elected in November, although this hinges on Ipson being elected to the position in the November election as well. During the final months of Urquhart’s term, Ipson said he expects to fulfill Urquhart’s assignments and see them through to the end of the year. This may include chairing of the Senate’s Higher Education Appropriations Committee. As he moves closer to filling the Senate seat, Ipson will resign from the House and leave House District 75 open for incoming replacement Walt Brooks. 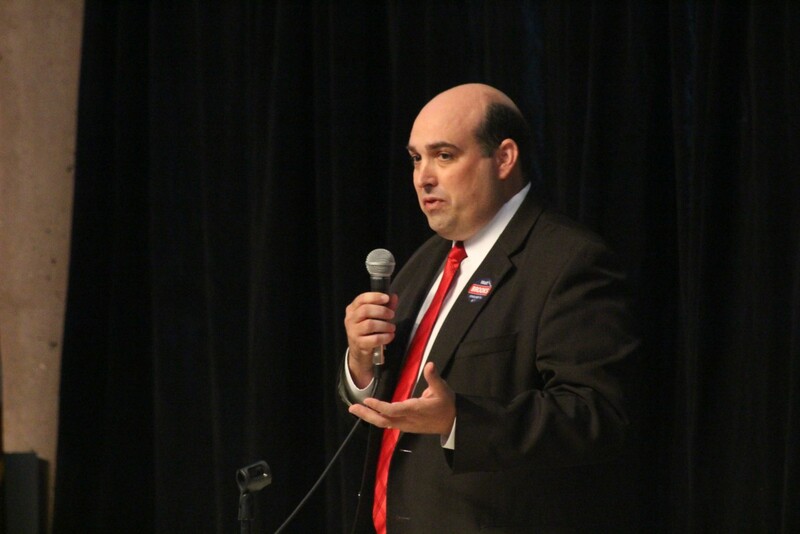 Brooks won the Republican nomination for House District 75 in April and was also unanimously nominated to fill the interim position by the central committee Thursday. Brooks, a businessman who runs a small software company, told the committee he originally planned to shadow the other legislators as they dealt with legislative issues during the interim season. Instead, he’ll be working with them as an interim representative until year’s end. In relation to Ipson being nominated to fill Urquhart’s seat, Robert Jensen, Washington County Republican Party chair, said the press was reporting that favoring Ipson for the spot was somehow underhanded and a sign of dirty politics. Issues surrounding Ipson as Urquhart’s replacement were originally raised by Dorothy Engelman, the Democratic challenger to Senate District 29. She has previously said that outgoing Republicans appear to have a habit of resigning and choosing a successor of sorts – in some cases, that successor is the very candidate running for the office to be filled. The time of Urquhart’s resignation – six weeks before the election – also seemed suspect, Engelman said. 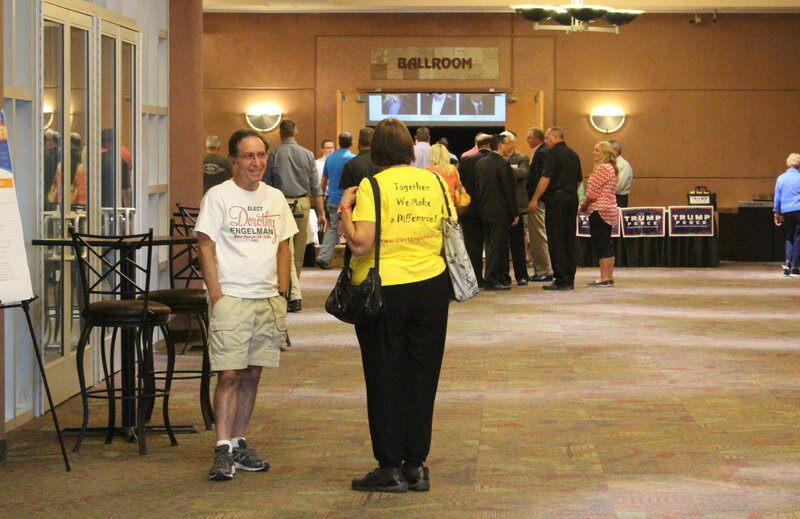 Engelman’s view was shared by two of her supporters who arrived at the Dixie Center St. George where the Washington County Republican Party’s central committee met. They were easy to pick out of the crowd due to the shirts they wore declaring support for the Democratic candidate. Actually rushing to fill a political vacancy ahead of an election is very American in that it will always be done by both parties whenever the opportunity presents itself. Successful candidates don’t worry about being democratic very much — they concern themselves with winning. That is what schemes like Democratic super delegates are all about. Welcome to American electoral politics — a full contact sport. Engleman and her “two” supporters were hopping mad at the appointment of Ipson. They say they want the voters to have their say in this. Well, they need to go out and find 2 or 3, or maybe 10 other voters to go out and vote and take that seat from Ipson. That’s how it works. Vote em in, or vote em out on election day.